“The problem is that they are not able to come together as an industry and say there is stress," the official said. “We could have initiated some action if they could come together. If one player is opposing everything, and two players are saying they want relief, then what will the government do"? Vodafone Idea faces spectrum liabilities worth ₹ 3,000 crore due in March 2019 and an additional ₹ 12,000 crore due in mid-2019-2020, Credit Suisse said in a note dated 22 November. 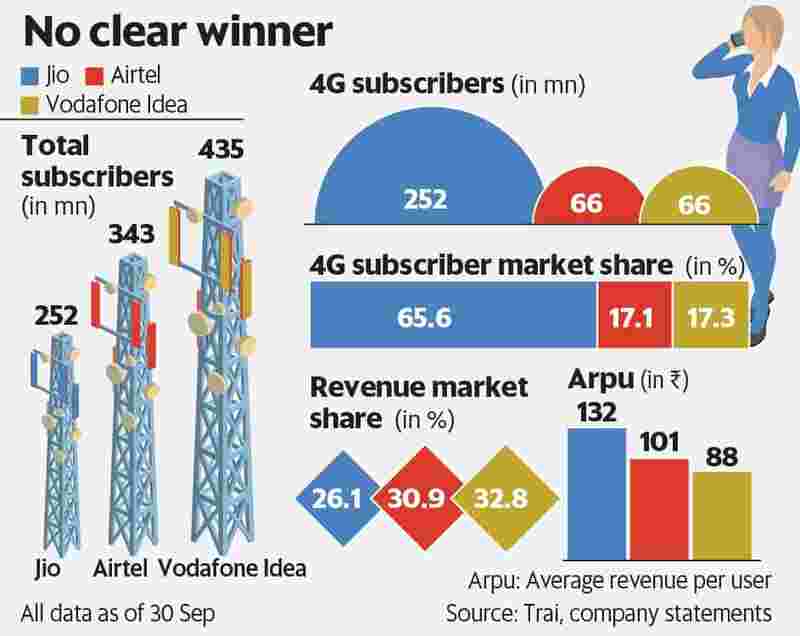 Vodafone Idea posted ₹ 4,970 crore loss in the September quarter, while Airtel posted a ₹ 118 crore profit. “COAI had asked for import duties to be reviewed on telecom equipment. There’s a committee comprising of members of Department of Revenue, Ministry of Commerce and Industry, Ministry of Electronics and Information Technology and DoT which is looking into it," the official said.